We provide a full equipment maintenance and performance support package for schools in Argyll and Bute Ayrshire, Edinburgh, Falkirk and Perth and Kinross. 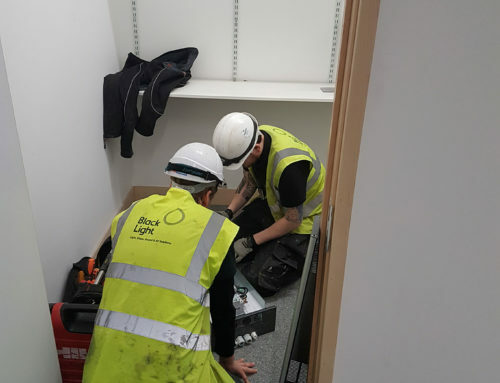 Mitie FM turned to Black Light to provide a full maintenance and performance support package for equipment across various regions in Scotland. We were also asked to support the schools with training and assistance. They needed a company that could keep the systems in these venues safe and functioning and needed a maintenance team they could rely on – they came to us. We got the job thanks to the quality of service we supply and the fact that we are cost-competitive and work with the minimum of fuss. We provide periodic pre-planned maintenance support for all lighting, sound, AV and staging equipment. The maintenance services we provide include PAT-testing, load-testing, inspection and certification. We carry out general low-level repairs, emergency call-outs etc. The maintenance package gives the schools and the council peace of mind. Because our experts regularly service the schools’ equipment, our clients know that their considerable investment is protected, that they are meeting their Health and Safety obligations and that their systems are safe for users. The success of the project shows that we can offer a full range of skills and specialist knowledge (including expertise relating to electrical and lifting equipment and working at height) to maintain a wide range of technical performance systems.